Diana: Here at Gameosity we love art, maybe that is because 2 out of 5 of us are artists. Rob: Hey! I’m an artist too you know, I do design work still and you’re the one who always says I’m better at sculpture than you are. Andrew: Josh is a published author. I mean, technically speaking, we all are, although Josh is the only one of us you can find on Amazon. Josh: I’m just excited to be included, here, guys! You know, among the artists. Diana: Fine. We are all artists here and even more important than that we are all art appreciators. While we all agree that game mechanics, theme and overall gameplay are important aspects to a game it is the art of the game that can either elevate it into a whole new level or if done poorly can leave you wondering if the game is finished. 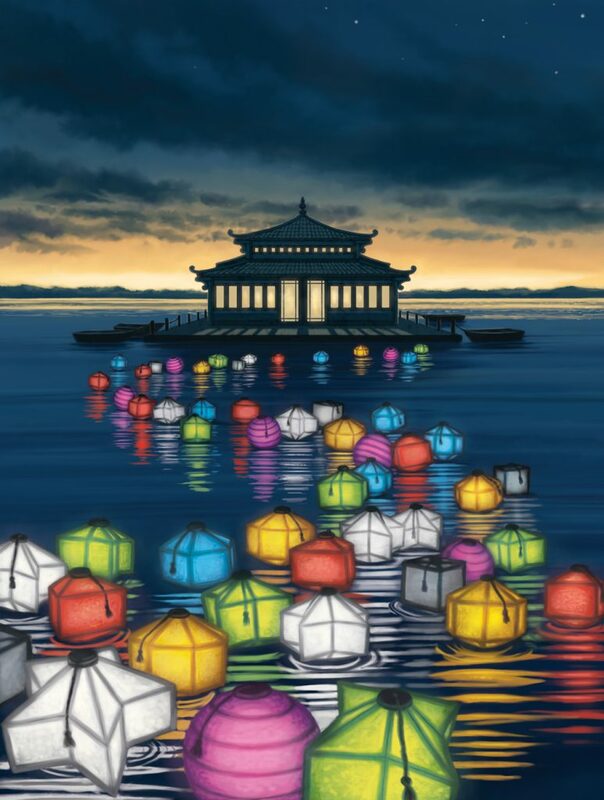 With this in mind we are proud to announce our new monthly article that will highlight a new game artist each month – Masterpiece Meeple Corner! 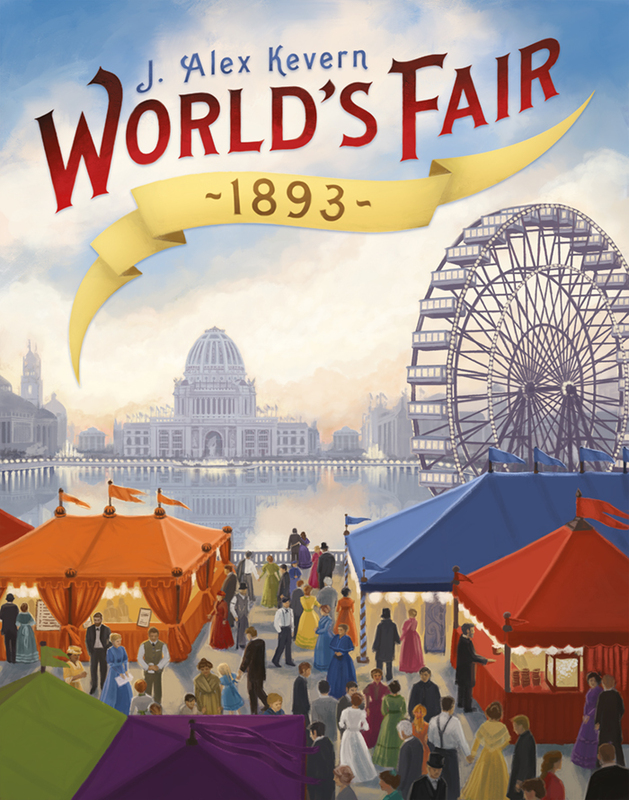 Our first artist is the amazing Beth Sobel, who’s beautiful art can be seen in Lanterns – The Harvest Festival, Viticulture, The Last Gardens and J. Alex Kevern World’s Fair 1893, just to name a few. 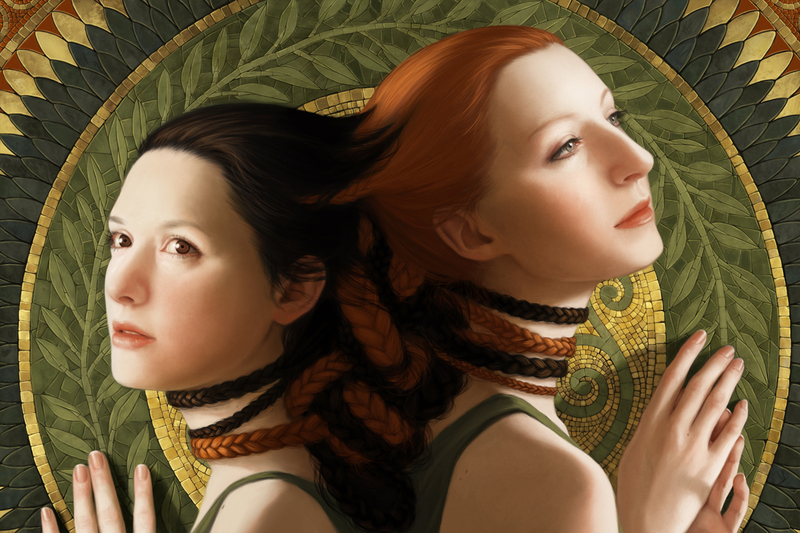 Her work is an amazing combination of color and painterly details that make any game she works on pure eye candy. Even better she was gracious enough to take time and answer my fan girl questions! Serious fan girl geek out – how cool is this art?!? Diana: What inspired you to become an artist? Beth: It wasn’t anything specific, at least as far as I can recall. I’ve had a pencil or crayon or marker in my hand since I was able to hold one. Most of my toys as a child were boxes of crayons or markers. I loved that! Beth: As far as becoming an illustrator, I had a (now resolved) health issue that meant I wasn’t working for a few years. Once I was better, I had the unusual opportunity to redesign my career from the ground up. I wanted something creative, if possible, so I researched where people could get art jobs and illustration was a great fit for me. I love working to art direction, and I’m delighted to get to participate professionally in a hobby that means so much to me. Diana: What, if any, formal art training do you have? Beth: I got my Master’s degree in Fine Arts (painting) in 2003. I also studied art a bit in college, as well as spending a year abroad studying zinc plate etching. There’s not a lot of jobs involving etching these days, but I very much loved the process. The most relevant education I’ve had for illustration was SmartSchool, an online semester of illustration specific courses taught by some amazing artists. Diana: What artists influence your creativity? Beth: So many. Honestly, if I were to name them all, I’d fill pages. Some that jump to mind right now include Karla Ortiz, Cynthia Sheppard, Victo Ngai, Jeremy Geddes… and so many more! I seldom look at a piece of art and feel uninspired, honestly. There’s so much amazing talent out there. Diana: I agree! 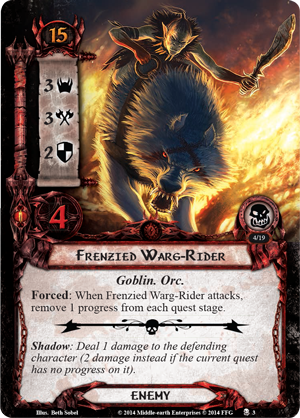 What got you interested in/started with doing art for board games? Beth: Mainly luck! I’ve enjoyed board games in a casual way most of my life, but my first board game job (as opposed to cards) was Viticulture. After playing that, I realized the board game hobby was much deeper than I’d expected. Finding our local board game group and joining it was really a highlight. Now we play every Sunday and Thursday, and sometimes my husband and I will play a game or two during the week. Diana: If somebody asked you to describe a game that does not exist that you would love doing the art for what would the subject matter be? What type of game would your dream game be to create art for? Beth: The easiest answer to that is ‘something interesting’. I love jobs that surprise me. This will probably change tomorrow, but right now I’d love to do something involving the Pacific Northwest’s natural beauty, or something in the style of renaissance portraits. I’d also like to try illustrating in line art or pencil drawing. As far as game types, my personal preferences for playing are euros and games that fall under the 45 minute mark, which covers a very wide variety. Diana: If you could play a your favorite board game with any artist in history what game would you play and what artist would you play it with? Beth: I would want something longish, but not too long… so the game would probably be Concordia (with Salsa). As for the person, Alice Neel seems like she’d be a lot of fun. I’d choose Rembrandt if my goal was to learn interesting historical context. His self portraits get pretty hilarious. Diana: Rembrandt would be amazing to game with…I wonder what he would like to play? Anyway what are your favorite board games? 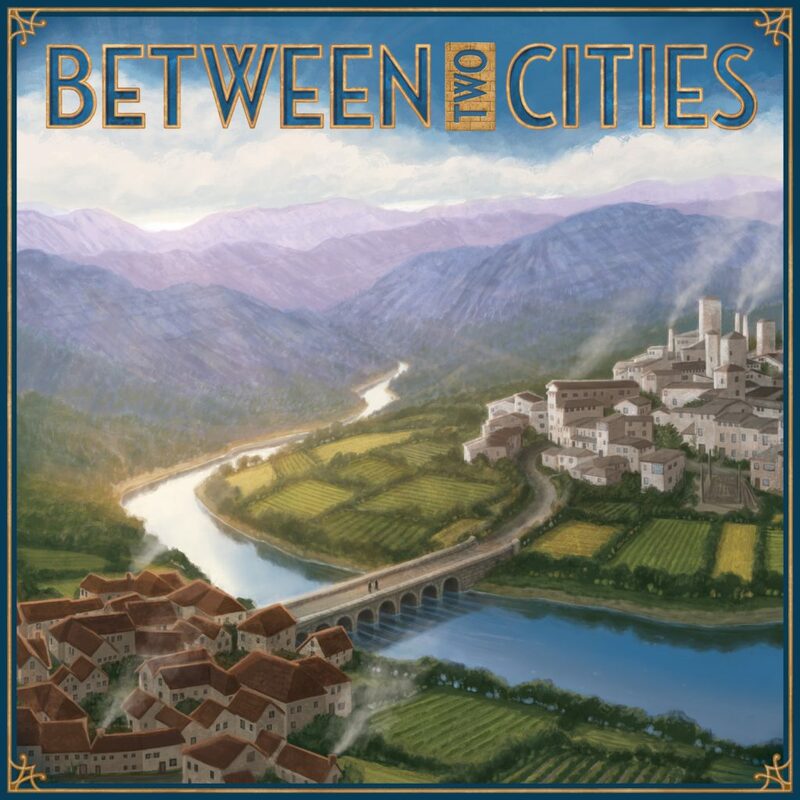 Beth: As with most people, it varies, but right now (excluding anything I’ve worked on): Concordia, The Game, Roll for the Galaxy, World Without End, and Orleans. I stopped at five but could have gone on and on and on…. honestly, I’m already wondering what incredibly obvious game I love that I’ve left out. Diana: I know what you mean! So what projects are you working on right now? Can’t wait to see this game, it looks so beautiful! 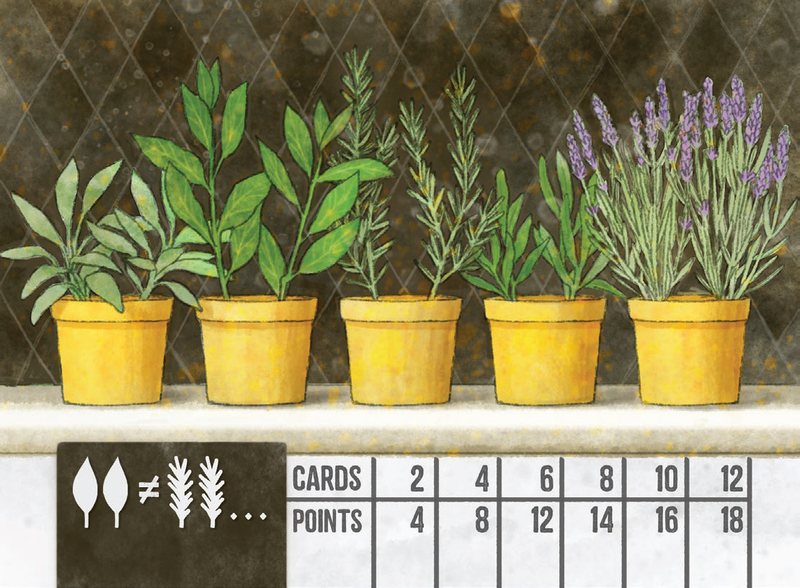 Beth: Herbaceous and Coldwater Crown are two projects coming up on kickstarter soon. 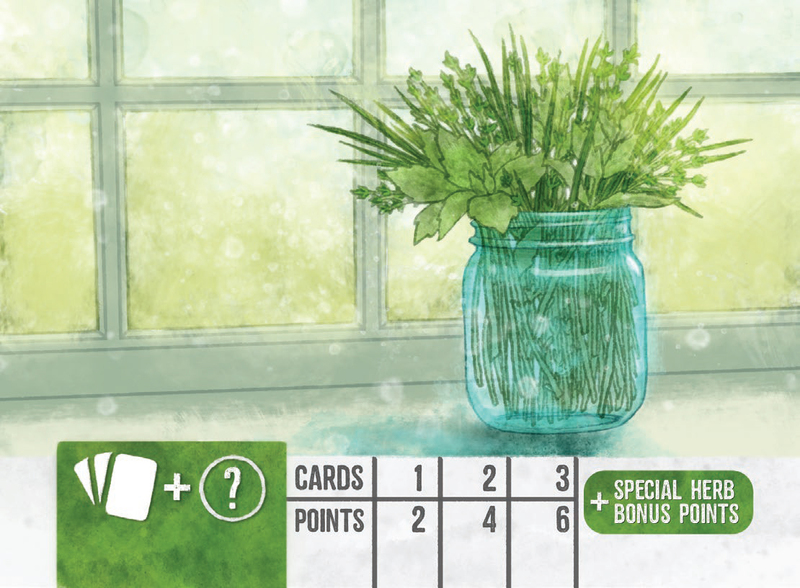 Herbaceous is an herb themed press your luck game by Stephen Finn, produced and published by Eduardo Baraf, and Coldwater Crown is a worker placement game game by Brian Suhre and published by Dennis Hoyle (Bellwether Games). I’m also working on character illustrations for Daniel Solis’s Trickster, as well as some work that’s not public yet. Diana: Can’t wait to see those games! Speaking of where can your fans see more of your art? Beth: My website is www.bethsobel.com. I’ll usually post most finished projects, and some studies, on my Facebook or twitter accounts. Diana: Thank you so much for being our first featured artist! I has been great getting to know you and your art a little better. Please check out Beth Sobel on Facebook, Twitter and on her site as well. Let us know what artists you would like us to interview next in the comment section.